Always rushing from one appointment to another, calling customers while driving, spending evenings to make sense of the day activities. If you recognize yourself in this description, then you also know that your stress level has reached limits hard to bear! Luckily technology comes to rescue you, offering a wide range of services and applications to optimize your time and to be productive without stressing out. I’m sure you already use different applications, but are you sure to choose the right ones? Let’s see which are the main applications to manage your business from your smartphone: try to count how many of them do you use and calculate how much do you exploit the opportunity of mobile. Remember that is not enough to have the application installed on your phone and to open it once a month, but it must be integrated in your daily work! It may seem obvious, but the address book of your phone is the starting point of your business. You’re probably thinking: of course I do use it! But before passing to the next tool, think of how you use it. Is your address book full of duplicated contacts or with the data for the same contact splitted into several cards? Have you set a method to distinguish between private and business contacts, and a way to find the data you need faster? Having a contact book that’s well structured and able to support you in your work is very important: how many times you didn’t manage to call a customer because you couldn’t find the number, or you have lost time to find the business card? Take some time to clean your contacts by linking together the duplicates, and assign them groups and tags to organize them in a way suitable to your business. And do not forget to turn on contact synchronization with your PC, so even in the event of lost or stolen phone, you will not lose one of the most valuable asset for your business! 2. Google Calendar, iCal, OutlookCal or any other phone calendar. Yes, you’re probably thinking, the calendar is my strong point! But do you really use it in a smart way? After calling a client, do you immediately schedule the next follow-up and add it to your calendar not to forget it? When planning a meeting, do you invite your customers through the calendar to make sure they accept it and remember about it? A well-organized calendar has the great potential to reduce your stress level and to give an edge to your business. 3. Google Drive and/or Dropbox. If you always work away from the office, your data can not be stored only on your computer. Adopting a cloud data storage service is now more than necessary, because you never know when and where you would need a piece of information. Select the service you want to establish an account and business, possibly also involving the rest of your team to share all the data you want with them. Organize your files appropriately through a structure that reflects your business, for instance with folders for each customer and each deal. Install on your smartphone and tablet the mobile application of the service you chose and activate the synchronization options to ensure that new files are always available on all devices: never loose a single piece of data! Who does not use Skype today? 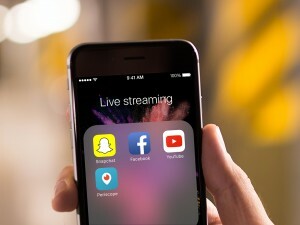 Few knows, however, that it is not useful just for video calls from your computer, but it’s a real alternative to the phone. By subscribing to a convenient annual plan, you can call all landlines and mobile phones, in addition of course to other Skype account. Besides, when you want to quickly communicate with a client or an employee, sending Skype messages is way faster than writing emails. We already talked about it extensively (link), but we will never tire of repeating it: Evernote is the most powerful tool for gathering and sharing notes and memos for business. To give you an idea, I’m even writing the draft of this article using Evernote! Instead of writing a note using your laptop notepad and then saving it somewhere, you should simply launch Evernote on your PC or on your mobile device, choose the notebook you want (i.e. the collection of notes) and start writing. Evernote will take care of saving and synchronizing the text as you write it! In addition, you can easily share a notebook or each note with your employees and/or customers, and search for a note months after just entering the keywords that you remember. After trying many team collaboration tools, Slack is the one we liked the most. When you work with your colleagues, is it not enough to have group conversations on a messaging service: you need thematic conversations for different business areas, a management system for shared files and a way to retrive past conversations effectively. Slack helps those who do business on the move because it is like having your own team always with you. 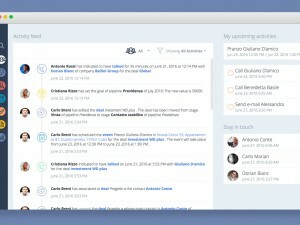 Do you need a quote in real time, or to find that phone number a coworker sent you a couple of months ago? With Slack they are always at hand! Confused by all these tools? As you know, Sellf is a CRM (customer relationship management) that helps you manage your relationships with your customers and keep track of your business deals. But did you know that Sellf is integrated with all the applications that we described above? Rather than manage them all independently, with Sellf you can view and save the information you need on each of them, saving time and getting the most out of them for your business. In fact, Sellf integrates with the address book to import your business contacts and to save the new ones created directly from Sellf. Then, it dialogues with any calendar application you want, automatically synchronizing reminders and events that you planned on Sellf. It allows you to save notes and documents on Dropbox and Google Drive, and to call your customers via Skype directly from their profile. Through the integration with Evernote, each note is shared between the two applications, regardless of where you created it. 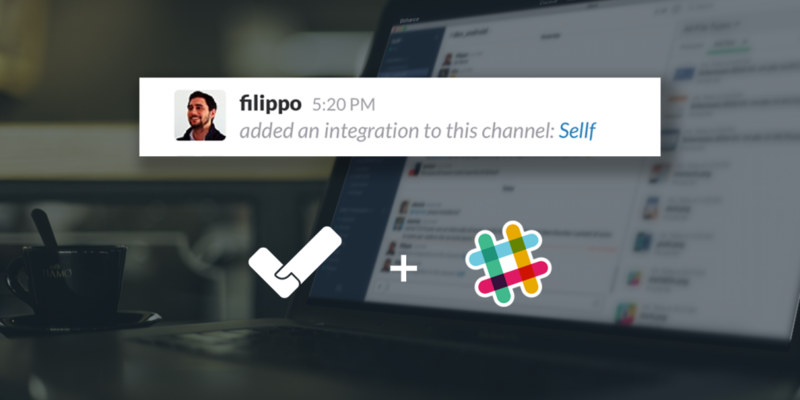 And last but not least, now Sellf is also integrated with Slack, allowing you to interact with your colleagues in an even faster and more intuitive way! In short, how much “mobile” are you? 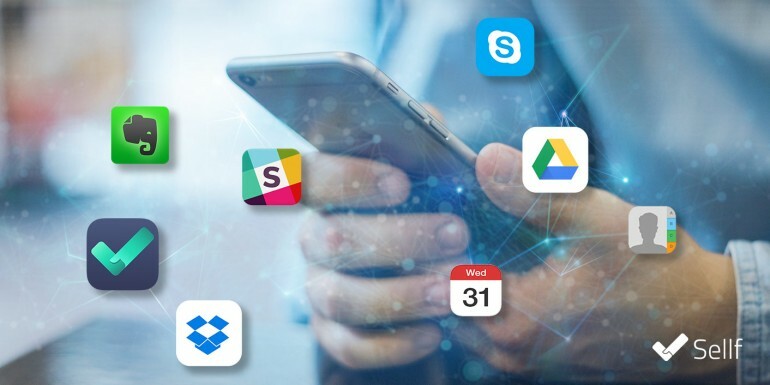 If you realized you are not using these tools enough, it’s time to rethink the way you work and start integrating some of these applications in your and your team daily life. I assure you will have an edge on your competition and you will finally feel like having your own business in your pocket! Do you use other mobile business application? Let us know in the comments, maybe we’ll add them to our Sellf integrations roadmap!